Monday, August 9th 2010: I simply could not drag my carcass out of bed to run. I'd imagine this is what a severe hangover feels like. Tuesday, August 10th 2010: 5 miles @ 9:42 per mile pace. Fellow runners will understand the fact that it is completely possible to go on a run early in the morning and still be asleep. It's like your eyes are opened and your legs are moving, but your brain is still asleep. This was one of those mornings. Wednesday, August 11th 2010: 5 miles @ 9:46 per mile pace. Thursday, August 12th 2010: Rest. Friday, August 13th 2010: 4 miles @ 9:34 per mile pace. 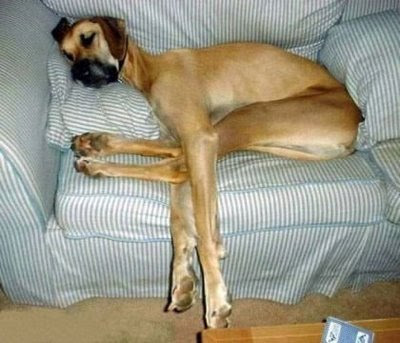 I don't know why I've been feeling so tired lately. But I realized the true extreme of my tiredness after one mile into this run. My right foot felt a little weird. Then I looked down and realized that my left foot had a Saucony brand shoe and my right foot had a Mizuno brand shoe. Sleep? Who needs sleep. Saturday, August 14th 2010: 8 miles @ 9:46 per mile pace. I felt surprisingly good the second half of the run which was encouraging. But before I did my 8 miles I had an awesome experience. 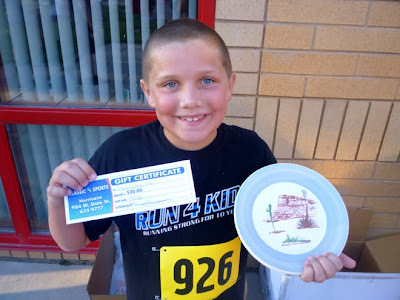 My son Jackson signed up for the Washington County Fair race coordinated by the awesome Shelly Thomas. There was a 5k race and a mile race. Jackson did the mile. As we were driving to the race Jackson said "I just want to go out there and run as fast as a jet." The race started and I waited at the finish line for him. Pretty soon I saw a black shirt coming in the distance but it was too far away to see who it was. They were in first place. After a minute I realized it was Jackson! He ended up winning the mile race with a time of 8 minutes and 55 seconds! I felt so proud of him. Mel has been sick all week and hasn't been able to run so she is nervous about her first marathon coming up in a week. I told her to look on the bright side because at least she got in a good taper. We received some great news that my sister will be volunteering at the race! Seeing her will be a welcome relief when we are in the midst of wanting to die. Stay tuned for my Tips For Running A Marathon. "I think there is too much emphasis placed on the distinction between the people in the front and the people in the back. I happen to feel that the sensations are exactly the same for all of us."